We have acquired over the years an important know-how for all product certifications particularly in the automotive and appliance industry professional fields. In our laboratories there is the instrumentation to perform a compatibility pretest (EMC) and the diagnosis of the various equipment malfunctions. We support also the customer in CE, CB, VDE, GS and INMETRO product certifications. 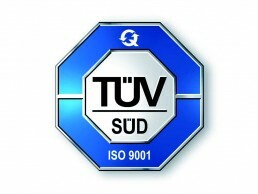 Moreover, business processes are carried out in accordance with regulations of ISO9001, for which DTI is certified. Our Quality System supports all business functions in order to offer customers flexibility, punctuality and competitiveness.